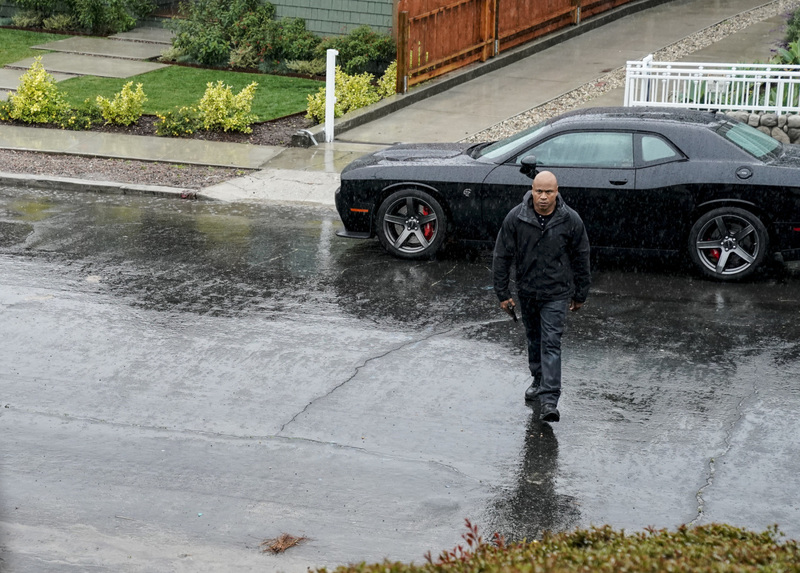 “Choke Point” is the title of the Sunday, April 14 episode of NCIS: Los Angeles and we have some preview images and a description that CBS has released to promote it. After a Navy Seal is attacked while moonlighting at a security job for a successful marijuana dispensary, Sam personally vows to apprehend the suspect out of respect for the Navy Seal brotherhood, on NCIS: LOS ANGELES, Sunday, April 14 (9:00-10:00 PM, ET/PT) on the CBS Television Network. "Choke Point" -- Pictured: LL COOL J (Special Agent Sam Hanna). After a Navy Seal is attacked while moonlighting at a security job for a successful marijuana dispensary, Sam personally vows to apprehend the suspect out of respect for the Navy Seal brotherhood, on NCIS: LOS ANGELES, Sunday, April 14 (9:00-10:00 PM, ET/PT) on the CBS Television Network. Photo: Cliff Lipson/CBS ÃÂ©2019 CBS Broadcasting, Inc. All Rights Reserved. Guest stars appearing in “Choke Point” include Sabrina Revelle (Laura Garcia), Aliah Seavey (Kelly James), Medalion Rahimi (NCIS Special Agent Fatima Namazi), Tommy Badger Brown (Jason Reed), Justin Paul (Brian Booker), Nicholas Hayner (Navy Seal Petty Officer Alonzo Garcia), David Chan (Nurse Steven Hong), Steve Fisher (Edward Morrison), Noelle Messier (Security Guard), and Julianna Gamiz (Elena Garcia).